Donald J. (Don) Watson, 62, of Conway, passed away unexpectedly on Sunday, March 18, 2018 at his residence. Born June 23, 1955, in Meadville, he was the son of John (Jack) and Helen Linn Watson. He was a graduate of Linesville High School in 1974. Don was currently employed by Norfolk Southern Railroad in Conway for over 20 years in the engine house. 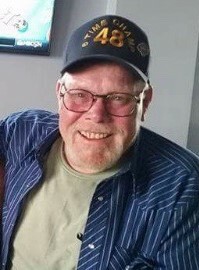 He was a member of the Pymatuning Sportsman’s Club in Linesville, the Linesville American Legion Post 462 and the Vernon Central Hose Company in Meadville. 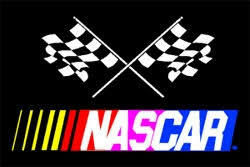 Don was an avid stock racing and NASCAR fan. He loved the 7 time champion Jimmie Johnson. He was a proud grandfather and cherished his grandchildren. He will be greatly missed by his family and friends. Survivors include a daughter, Joni Watson and her fiancé, Jack Fink, of Erie; two sons, John Watson of Jamestown and James Watson of Meadville; three grandchildren, Justin Fink, Daylee Watson and Jagger Watson; two sisters, Chris Salsberry of Linesville and Toni Watson of Avondale, Arizona; three brothers, Thomas Watson of San Antonio, Texas, David Watson of Geneva, Ohio and Robert Watson of San Antonio, Texas; his former wife, Donna Gower of Meadville; and many nieces and nephews. He was preceded in death by his parents and a brother-in-law, Edward Salsberry. Calling hours will be on Thursday from 6 to 9 p.m. at ROYAL-COLEMAN FUNERAL HOME 6028 U.S. HIGHWAY 6, Linesville. Additional calling hours will be Friday from 10 to 11 a.m. at the funeral home. A funeral service will follow at 11 a.m. with Rev. Dennis E. Lawton, of the Linesville and Harmonsburg United Methodist Churches, officiating. Burial will be private in Linesville Cemetery. Memorial contributions may be made in Don’s name to the American Lung Association 810 River Ave., #140, Pittsburgh, Pa 15212 or online at www.lung.org. Please share a condolence or memory of Don for the family at royalcolemanfuneralhome.com.